1SM 1 inch industrial belt sander is very versatile belt sander great for every size work shop that’s going to be sanding just about everything with the right sanding belt such as metal, brass, bronze, plastic and or wood. What makes the 1SM 1 inch industrial belt sander great is the belt size you can fit the 1 inch belt tight sanding areas and you can fit it any size work area. You can do several different metal removal operations such as deburring, beveling and rounding an edge. Kalamazoo Industries offers a two different 1 inch belt sanders. The first Kalamazoo Industries 1 inch electric belt sander option is the 1SM 1 x 42 inch belt sander: This comes standard with as a 1 x 42 inch sanding unit, 1/3HP 1PH 110V TEFC motor, easy tracking, removable work table and platen. The second 1 inch belt sander option that Kalamazoo Industries is the 1SMV 1 x 42 inch belt sander with vacuum base. 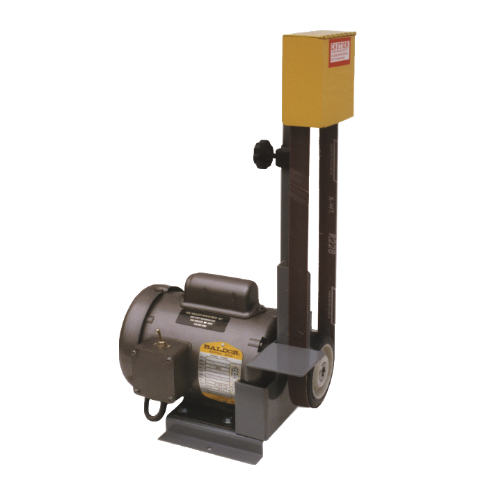 This belt sander comes with the same 1/3HP 1PH 110V TEFV motor, easy tracking, removable work table and platen. This unit includes a 1PH 110V vacuum base which will help you keep your work area cleaner. What’s great about the Kalamazoo 1SM 1 x 42 inch belt sanders that they can accommodate any 1 x 42 inch belt so you can achieve your desired finish plus you can run the unit without the platen and work table if you want the sanding belt to better meet the part shape and again fit in any size work shop. So check out the Kalamazoo 1SM 1 x 42 inch belt sander by clicking here to learn more about this sander Call us at (269) 382-2050 to find your closest Kalamazoo dealer to get your 1 inch electric belt sander on order TODAY! 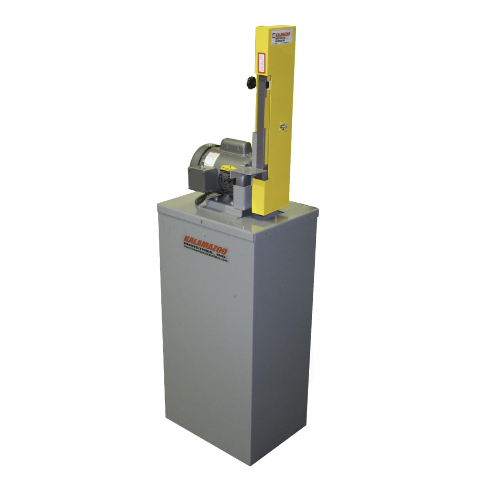 If you need a belt sander larger than 1 inch click here to check out all the other belt sanders that we manufacture.